Golden Technologies alante sport GP205CC power wheelchair is a high quality chair featuring a fun, unique two-tone shroud design. The Alante sport wheelchair features a full-size charcoal grey captain's seat. 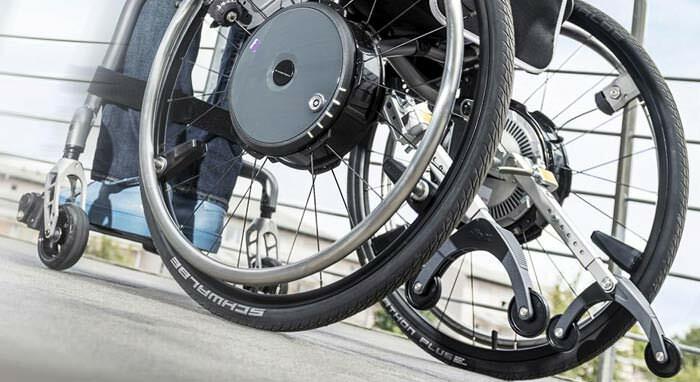 Alante sport power wheelchair comes with black, non-scuffing tires with silver rims. Alante sport GP205CC power wheelchair has a 50 amp, PG controller standard. Alante Sport is a front wheel drive power wheelchair with in-line motors. Ground clearance to mid frame 1.75"
Height (back of seat) 37" - 39"
Height (back of headrest) 44.5" - 48"
Ground to top of seat 20.5" - 22.5"
Back height - No headrest 19"
Back height with headrest 26.5" - 30"
Width x Depth 18" x 18"
Width x depth 20" x 18"